Many people around the world enjoy discovering their family history and reconnecting with their Scottish heritage. There may come a time when a professional genealogist can provide particular skills, access to archives because you live far away from where the records are held or a fresh approach to highlight new avenues for your research. Scottish Kin's genealogy research services can help you find out more about your family's roots. 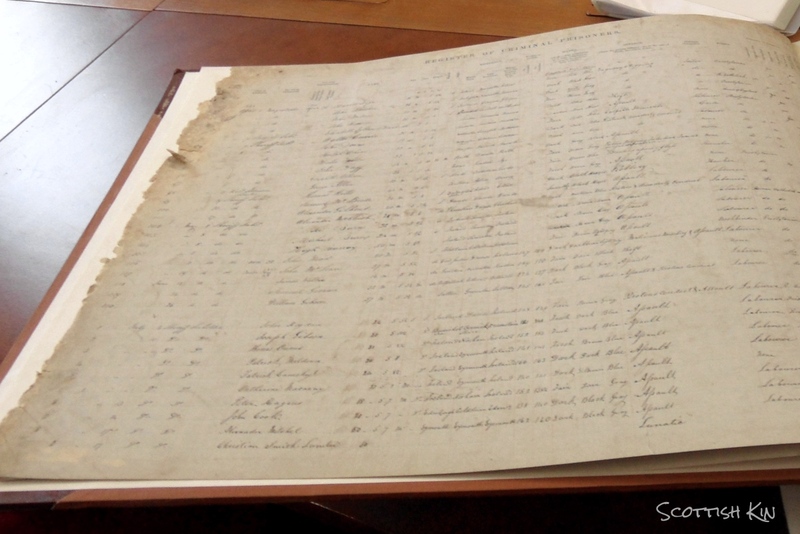 Professional genealogists based outside Scotland or at distance from Edinburgh may also wish to consider our document services for record retrieval or handwriting transcription. When you’ve been researching your family history for a time, you may well find you come to a dead end - also commonly called a “brick wall” in the genealogy community. You’re not sure who someone’s parents were, for example, because parish records don’t give the same level of information as the civil registration certificates. This is a point when a professional genealogist may be able to help. You are, of course, the expert in your own family’s story. With experience from working on many family trees and our knowledge of resources, we can suggest other avenues for your research, from websites to archives, or from tax records to an alternative approach. Our blog post about Fatal Accident reports shows how much information other records can give to help your research. We may also know of areas where the records have been lost, saving you wasted hours searching for records that simply no longer exist. We encourage you to continue the research from these suggestions yourself if you want to and if the records are available online or in an archive local to you. If you prefer, you can commission us to do the work. For example, if you live a distance from where your ancestors lived, and particularly when you don’t live in Scotland, we can undertake the research in local archives at your request. We also have access to specialist resources which may help to speed up the research process. Planning a vacation in Scotland and hoping to find out more about your Scottish roots? Research done in advance will allow you to plan an appropriate itinerary and give you more time to visit places familiar to your ancestors. This can provide an opportunity to identify towns, villages, properties, schools, farms, churches or graveyards important to your family. Place names have also changed over the years, so advance research can be essential. Contact us with a brief overview of your research situation, giving relevant details so we can determine whether we can help. We don't need your full family tree at this stage! You may have identified a document in an archive catalogue that looks like it will help in your research but live too far away from Scotland to visit. Or you might want to know the information but not relish spending time in archives poring over old records. Sometimes you will know the exact reference for the document, at other times it may take further research to look through a bundle of records to find the correct one. Scottish Kin can undertake this research for you and obtain a copy of documents on your behalf. As your research progresses you may also find it would be helpful to review a category of records to establish whether your ancestor is mentioned - one example here might be Kirk Session records, which describe the administration of local Church of Scotland parishes, but often also contain details of local parishioners disciplined by the Session for drunkenness or the birth of an illegitimate child. Court records can also provide a lot of information about your ancestors’ lives if they came into contact with the legal system. Some legal cases are catalogued individually, particularly for the High Court, but others are held in large volumes or bundles which need to be searched to find the right case. There are many other types of records to help with your Scottish genealogy research - the National Records of Scotland produces useful research guides. City and county archives, along with local and specialised museums also hold resources or can give an idea of what life was like for your ancestors. 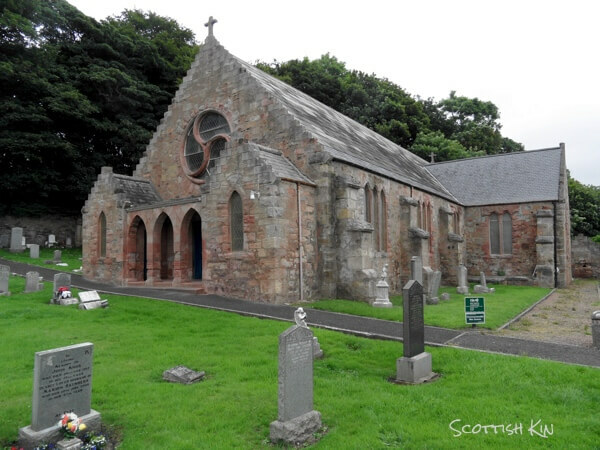 Scottish family history research can be so much more than birth, marriage and death records! The second challenge is “what does it mean?” Scottish documents often contain many old legal terms which need to be understood in order to interpret the contents. 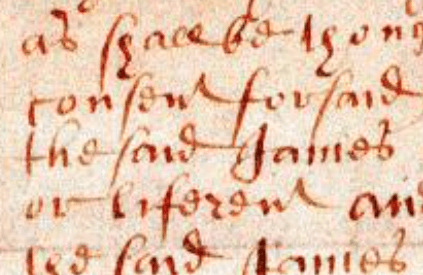 Many people find it difficult to read the handwriting in old documents - it takes practice and spelling can be more erratic than in modern English. Contact us with a brief description of the document and its type - for example, whether it's a will, a land record or a baptism register and whether you would like a straight transcription of the contents, or would also like an explanation of the terms used and its purpose. As the style of handwriting and the type of document can vary so much, if we can help, we will ask you to email us a copy of the document so we can give a no obligation quote.